A Multi-Format Multi-Standard D-5 HD/SD Studio Mastering System with Full Bandwidth 4:2:2 10-Bit Recording Capabilities. The AJ-HD3700B meets all high quality HD and SD production requirements in one VTR where quality is assured by full bandwidth (1920x1080) and 4:2:2 digital 10-bit component video in HD plus standard definition non-compressed 525i (NTSC) and 625i (PAL). Full Editing Capability – Standard RS-422 protocol means plug and play with a variety of edit systems, even pre-read in standard definition D-5 in NTCS or PAL. 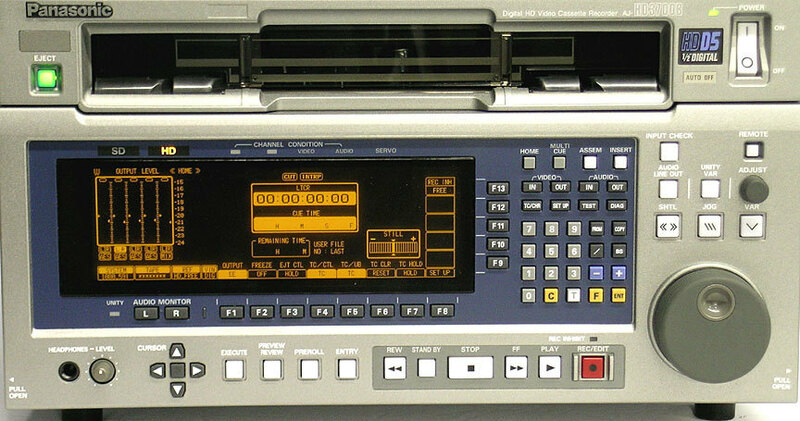 SD Multi-Format Recording – Records, edits, and plays back 480/59.94i, (NTSC) and 576/50i (PAL) signals. Unsurpassed Audio Capability – 8 discreet digital audio channels for 5.1 surround sound plus stereo for record/play/edit in all formats including NTSC and PAL sampling at 48KHz provides for 24-bit in 8-channels and 20-bit in 4-channels. Analog in/out is built-in. Dolby-E Compatible – This industry standard capability is built-in and ready to go without any options. Metadata Ready – Standard metadata/ancillary data support built-in without sacrificing audio capabilities. 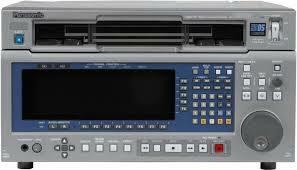 Rent the Panasonic AJ-HD3700B D-5 VTR at Deck Hand Camera Rentals Today!